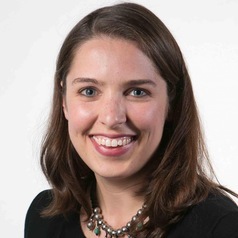 Julia Brooks is a researcher at Harvard Humanitarian Initiative (HHI), where she focuses on international humanitarian law and protection in armed conflict, as well as humanitarian policy and education. For the Advanced Training Program on Humanitarian Action (ATHA), she serves as a researcher and trainer focusing on international humanitarian law and humanitarian protection in armed conflict; managing editor and contributor to the ATHA paper and blog series; and co-host and producer of the Humanitarian Assistance Podcast series. She also teaches and develops curriculum for e-learning tools, online and in-person courses and workshops on international law and humanitarian protection, civil-military relations, and humanitarian response in armed conflict and complex emergencies. Previously, Julia worked in Berlin, Germany at the Foundation "Remembrance, Responsibility & Future" (Stiftung EVZ), Adelphi Research & Consult, the German Parliament (Bundestag), and the UN High Commissioner for Refugees (UNHCR) as a Senior Fellow with Humanity in Action. She also has experience at the Office of the High Representative in Bosnia and Herzegovina (OHR) in Sarajevo, and the International Criminal Tribunal for the former Yugoslavia (ICTY) in The Hague, The Netherlands.